Welcome to Monkey Music Highbury and Islington. 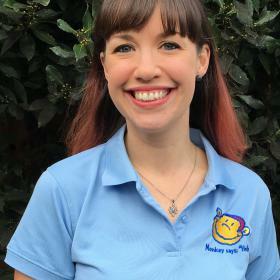 My name is Jessie Greer and I am thrilled to be running classes in the Highbury and Islington areas. The arts have always been an important part of my life for as long as I can remember. I have participated in orchestral and vocal music from a young age and studied Theatre at the Florida State University School of Theatre and was a theatre educator in the States before moving to London and discovering Monkey Music. I was immediately impressed by the professionalism and commitment to child development and artistic excellence at Monkey Music. As a teacher myself I was struck by the uniqueness of the curriculum and its ability to communicate the structure, power and pure joy of music to little ones, all whilst having bags of fun! Our progressive curriuculum is appropriate for each stage of your child's development and will ensure that they are prepared for a lifetime of music. 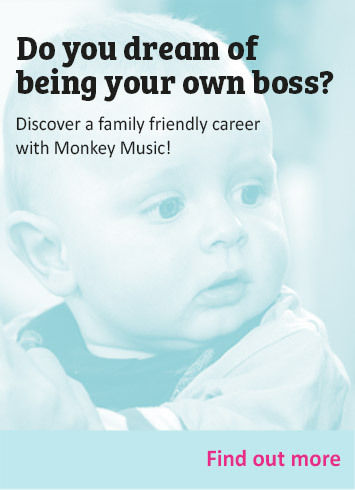 From tracking sounds at 3 months old to reading graphic notation at 3 years old, Monkey Music is the perfect preparation for learning an instrument at school. I have loved coming to work every day as a Monkey Music teacher for the last seven years and seeing my students discover music for themselves is such a joy. As a parent I have also seen the powerful effect of music on my own two children who experienced Monkey music as I taught through both of my pregnancies! I understand what getting your little one out to an activity involves and I always strive for our classes to be of the highest quality. I love how Monkey Music not only provides a meaningful activity for you and your little one to attend together but so many of our parents have become lifelong friends through attending our classes together. 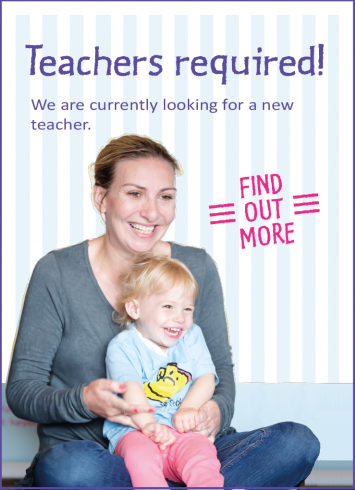 After my second child was born I decided that I wanted to dive even deeper in to my involvement with Monkey music and I am delighted to be offering classes in Highbury and Islington. Come on along and join us! We'd love to have you at one of our complimentary classes and there is always fun to be had at Monkey Music! "Incredible! By far the best baby class in the area!" "Both my children love Monkey Music! My toddler has been coming since he was a baby and I've really seen him grow with the programme. Jessie is so lovely and patient. I'm learning a lot too!" "What a delight! I absolutely loved every bit of it! Makes me wish I was a young mum again!" "My 9 month-old loved it! Completely engaged with the instruments and tried to clap along!" "I could stay all day!" 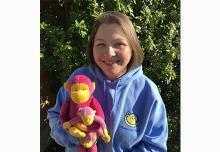 Jessie loves being a Monkey Music teacher! 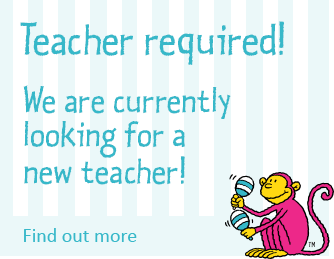 She's been teaching since 2011 and before that was a theatre educator in the States. With a background in musical and theatrical performance, her classes are full of fun and giggles, keeping the little ones enchanted with her beautiful voice. A classically trained cellist, Miranda joined the team in 2018. She is also a professional saxophonist and tours with her jazz string trio. She has bags of experience teaching music to children of all ages and brings her extensive musical knowledge to all of her classes. Welcome Miranda!